These Spider-Man Comic Book Cookie Cutters do more than just cut cookies into rectangles. 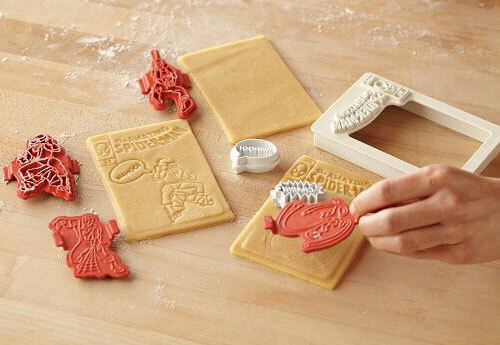 Included in the set–along with the necessary rectangle-cutter–are stamps to be used to press designs directly into the cookies. Follow along with icing, and you got yourself a comic book cookie–no drawing skills necessary.